England in the sixteenth and seventeenth centuries was permeated by a belief in witchcraft. This belief (which ran through all levels of society) was actively encouraged by the church. King James I even wrote a book on the subject - The Discovery of Witchcraft. It was widely held that witches, wizards, cunning folk and sorcerers could be found in every village. Much of this was popular imagination fuelled by the puritanical religion of the period. It is difficult to know just how many had personal and immediate knowledge of a witch or sorcerer, and of these supposed witches or sorcerers one wonders how many saw themselves in the same way as their neighbours did. Somewhat apart from those believed to be witches were the cunning folk of which there are many references in contemporary records. These people - usually men - were considered to play a useful part in everyday life. It was common to refer to a cunning man when seeking to recover lost or stolen possessions. Others were consulted about health issues or suspected witchcraft. A considerable number of people were happy to travel distances in excess of 20 miles to seek the advice of a reputable cunning man. They were generally welcome among the populace as doers of good deeds, and so were less likely than most to be accused of witchcraft, indeed they were often invited to assist in the finding of witches. Of those who actively sought out supposed witches, perhaps the most well known is Matthew Hopkins the self styled “Witch Finder General”. It is not known if Hopkins, or his associate John Stearne visited Borley on their journey through Essex in 1645. However, in the records of the Clerks of Assize for the South Eastern Circuit Borley residents are mentioned a number of times in relation to witchcraft. Joan Norfolk (1578 and 1579 twice), Margaret Ganne/Wells (1579), and together (1578 and 1579). The accusations refer to the murder by bewitchment of John Furmyn, also a resident of Borley. Those giving evidence are listed as John Bragge, William Fyrmyn, William Blacwell, Nicholas Norfolke (husband of one of the accused, although one of the records states the Joan like Margaret was a spinster), together with Alice Fyrmyn and Alice Byrde, both widows. Much later, in the year 1613 there is record of accusations made against John Cornell of Borley with Robert Parker of the nearby parish of Toppesfield. Although the nature of their crime is not mentioned. 115c 1578T Joan Norfolk recognizance that John Bragge, William Fyrmyn, William Blackwell, Nicholas Norfocke of Borley, husbandmen, and Alice Fyrmyn and Alice Byrde of same, widows, give evidence re witchcraft of said Joan. 121 1579H Margaret Ganne/Wells and Joan Norfolke. Both spinsters, on 1st March 1578, bewitched John Fyrrmyn who died at Borley on 1st May. Evidence given by John Bragge, Alice Fyrmyn and William Fyrmyn. No verdict. 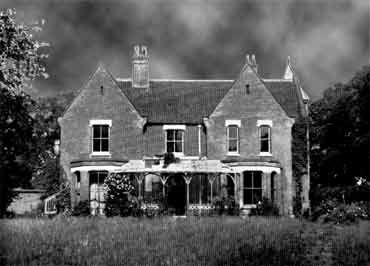 28th August, at Foxeyearth, bewitched Henry Kent of Foxeyearth who was for three days greatly troubled in divers parts of his body. No verdict.